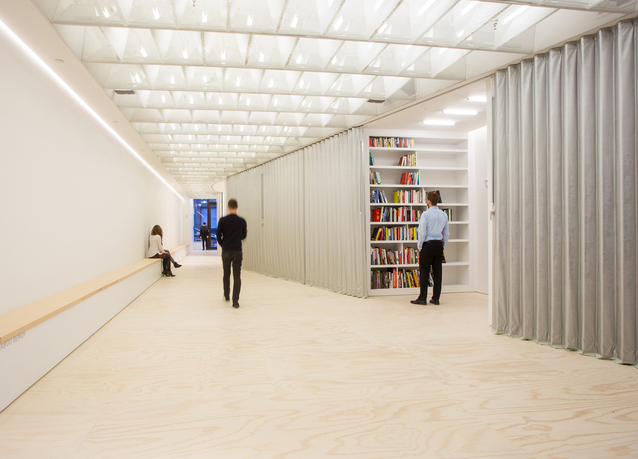 Van Alen Institute's new street-level space, 2014, New York. Photo: Cameron Blaylock. Van Alen Videos is a series of fifteen-minute video pieces to be featured in the Institute's newly renovated ground floor space on a custom, panoramic multi-media wall. Each video installation will be on view in our gallery and projected through the front window to passersby. Videos will also be available for public viewing online. The videos will use the narrative power of filmmaking to provide in-depth, interdisciplinary, multi-faceted exploration of pressing urban issues. Van Alen Videos is part of our thematic programming, connecting to our public programs, design competitions and research. Each piece will feature a new city, investigating its built environment and interpreting urban life. The range of potential subjects and styles is wide, and could include anything from a journalistic piece on rapid urbanization to an artistic take on technology in cities. David van der Leer specializes in the contemporary urban condition and creates programs that address urban issues through dialogue, research, and experiential installations. Prior to joining Van Alen in 2013, he spent five years at the Guggenheim Museum, where he took programs out of the gallery context and into the city as curator for the BMW Guggenheim Lab and associate curator for Architecture and Urban Studies. 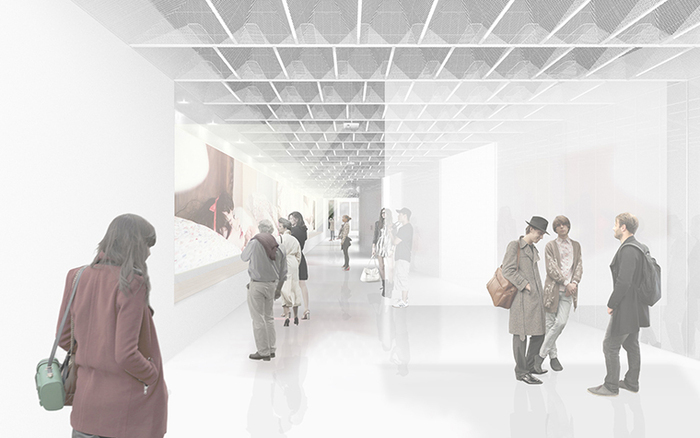 He also curated And then it became a city…, a video-based exhibition at the 2011 Shenzhen Bi-City Biennale of Urbanism/Architecture and the video component for the US Pavilion at the 2012 Venice Architecture Biennale. 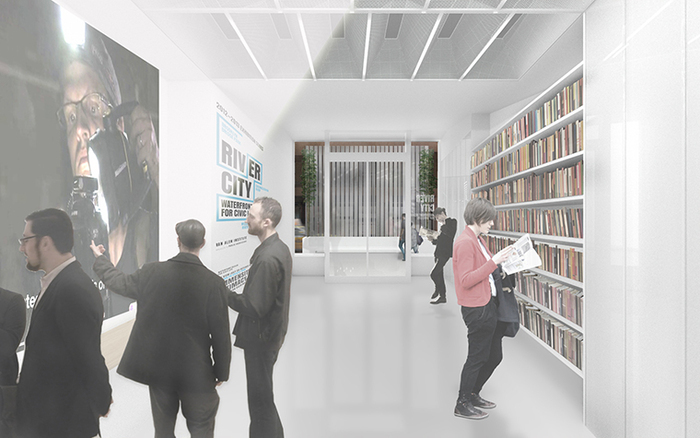 Before joining Van Alen in 2011, Sarah Farwell spent two years at the Myrtle Avenue Brooklyn Partnership, where she worked on projects in preservation, sustainability, planning, and design, and helped to develop innovative models for the reuse and management of underutilized public spaces. In 2008, she coauthored a strategic plan for development in San Antonio, Texas, where in largely Mexican-American and immigrant neighborhoods she sought to network and improve public spaces and support economic growth. She holds a degree in urban geography from the University of Texas, and is a graduate of the Metropolis Master's Program in Barcelona, Spain. At Van Alen Institute, we believe design can transform cities, landscapes, and regions to improve people's lives. We collaborate with communities, scholars, policymakers, and professionals on local and global initiatives that rigorously investigate the most pressing social, cultural, and ecological challenges of tomorrow. Building on more than a century of experience since our founding in 1894, we develop crossdisciplinary research, provocative public programs and inventive design competitions.